Who Is Touring In The USA And Canada? One man in a world of his own. A journey through a stellar career. 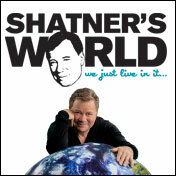 See William Shatner revisit his highest highs and lowest lows, live on stage for nineteen performances only this winter. Since its Broadway debut, this spectacular musical phenomenon Jesus Christ Superstar has thrilled millions of theatergoers worldwide: mesmerizing them with its passion, captivating them with its story and entrancing them with its anthemic title song. And now, two-time Tony winning director Des McAnuff (Jersey Boys) brings a bold, new vision to the classic rock opera by Tony, Grammy and Academy Award winners Andrew Lloyd Webber and Tim Rice. Direct from a sold-out, critically acclaimed run at The Stratford Festival, Andrew Lloyd Webber’s rock opera masterpiece returns to Broadway, in a dazzling new production directed by Des McAnuff (Jersey Boys). Now at Neil Simon Theatre (New York, NY) and Byham Theater (Pittsburgh, PA) the end of March 2012.